[dropcap style=”text” color=”green-2″]W[/dropcap]hen you hear “hypnosis” you might think of the traditional form of Hypnosis where the powerful, authoritative hypnosis implants suggestions in his subject, such as, “you are getting sleeeepy. Your eyelids are growing heavier and heavier. You will quit smoking,” and so on. But really, hypnotic trance exists in many different forms every day. Sometimes it is recognized and utilized (hypnotherapy, rituals, or dance, for example), but most of the time it goes unnoticed (daydreaming, people’s behavior on elevators, or irrational fears, to name a few). 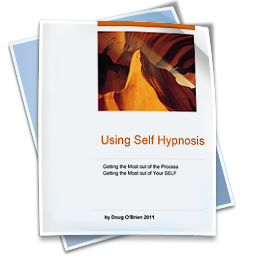 In fact, as a practicing hypnotherapist, I believe that people live most of their lives in one trance or another and my job is generally not to hypnotize them, but to de-hypnotize them. The true hypnotists in life are teachers, religious leaders, and even advertisers. The most powerful hypnosis, in anyone’s life, are that individual’s parents. Hypnotherapy is simply the use of trance for therapeutic purposes. Traditional hypnotherapy uses commanding language, as in the above example, called direct suggestion. This method sometimes works, but not for everybody. Some people resist these suggestions, perhaps because they resent authority figures, and they are sometimes labeled as “resistant”, or worse, “unhypnotizable,” by traditional hypnotherapists. As unintentional as it may be, this scenario is an example of hypnosis, complete with induction, suggestion, and post hypnotic suggestion. The powerful authoritative voice (the parent), having created and utilized through indirect suggestion (“don’t drop that! ), an altered state (trance), has issued a direct post-hypnotic suggestion (“You’re so clumsy. You’ll never learn”). “Post-hypnotic” because, if the child accepts the suggestion (and children often do), he or she will always see him/herself as clumsy. This post-hypnotic suggestion by the parent may well adhere to the directive in the future, sabotaging the child’s success. Milton Erickson, the innovative psychiatrist after whom Ericksonian hypnotherapy was named, might have even made a game out of trying to get a whole glass of milk to the table, or talk a story about carrying milk buckets in from the barn as a child.